Comment: Good to Very Good. Buy the MP3 album for £0.99 at the Amazon Digital Music Store. 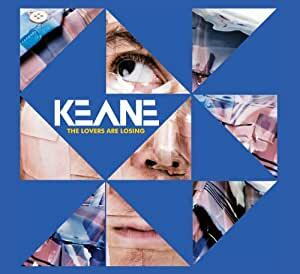 Like much of Keane's great new album Perfect Symmetry, The Lovers Are Losing presents an interesting middle ground. Blending the piano balladry of their 1st album with the electronic flourishes that they touched on in their 2nd album, they mix all this together into an irresistable number that, while not as quirky or striking as taster single Spiralling, is just as instant and catchy. It is here that Keane's success stems from - The Lovers Are Losing representing the heart of the band's pop sensibilities wrapped up in lush production that emphasises the 80's feel of their new material that so many reviews have commented on. It is a sound that suits the band well and Tom's vocals on top-form on this single, all round making for a great single and definite highlight to the new album. We also get a fantastic b-side on this CD in the form of 'Time To Go', relatively stripped back compared to the a-side, with just a piano and acoustic guitar accompanying Tom's vocal. It's a strong track though and holds instant appeal. Love the BONUS track! 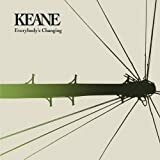 All of KEANE'S EXTRA tracks are GREAT! Haven't heard a bad B-SIDE from them yet!